What a lovely coincidence that tape, originally a recording medium, works beautifully for distortion and saturation. Whatever the reason, tape saturation is a popular effect. If you want subtle, pristine saturation, there are various meticulous models of high-quality studio equipment. That was one topic in our interview earlier this week with Universal Audio’s Dr. David Berners. (UA’s model is intended to model the entire multitrack tape deck, so quite a bit different.) There’s also, on a much gentler budget, a simple saturation effect in the US$79 Harrison Mixbus, intended more for the saturation behavior on main or submix buses than for replicating the tape equipment itself. But sometimes pristine, high-fidelity tape equipment is the opposite of what you want. You want, instead, raunchy, destructive, dirty distortion. To me, like many others, that’s more valuable. And it can cost nearly nothing, if you’re willing to scrounge. 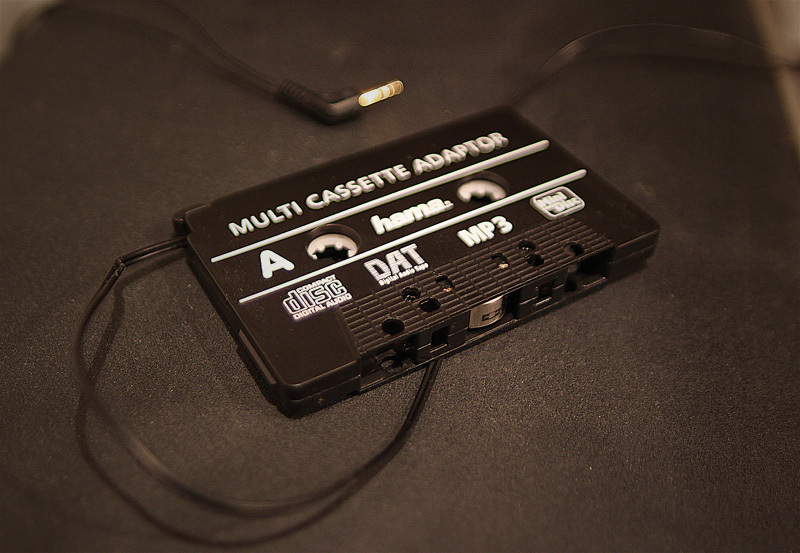 You don’t need any pricey equipment: just one unwanted tape deck and a CD-to-cassette adapter you almost certainly have buried in a drawer or closet. Helsinki-based producer and musician Riku Annala shares in a video tutorial how this works. Really, it’s just a simple, almost stupid trick and I’m 99% sure that many others have realized it too, but I’ve never bumped into it anywhere. It seems at the moment that producers are trying to get away from the clean digital sound and there is a clear lo-fi trend going on. I’ve always been somehow fascinated with old c-cassette tapes (I’m a product of the 80’s) and I got myself an old tape deck for experimantation purposes. Here is the catch, I realized that by using one of those 3mm jack CD-to-tape adapters that are used in tape car stereo’s for plugging external players, you can route digital (or any) audio through the tape deck to color the audio in various different ways! Well worth checking out his music, too, whilst you’re there. Variations on this trick? (I’m working on some hacks with a speed-variable portable tape player.) Other ideas? Make anything interesting this way? Let us know in comments.